Product prices and availability are accurate as of 2019-03-22 20:07:54 EDT and are subject to change. Any price and availability information displayed on http://www.amazon.com/ at the time of purchase will apply to the purchase of this product. Impressive Calvin Klein swim shorts in a fading ombre-effect in blue, featuring the iconic CK logo printed on the left hem in contrasting black. 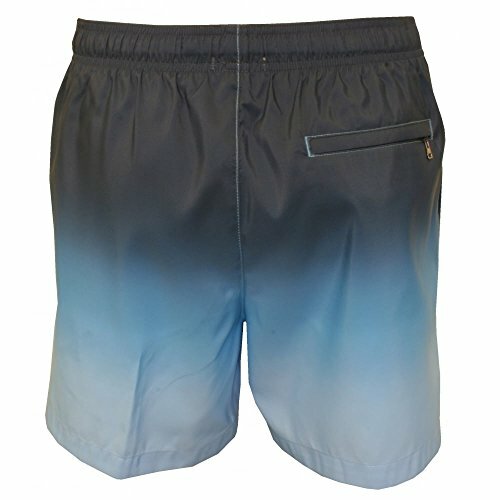 Classic swim shorts with a modern twist this season. 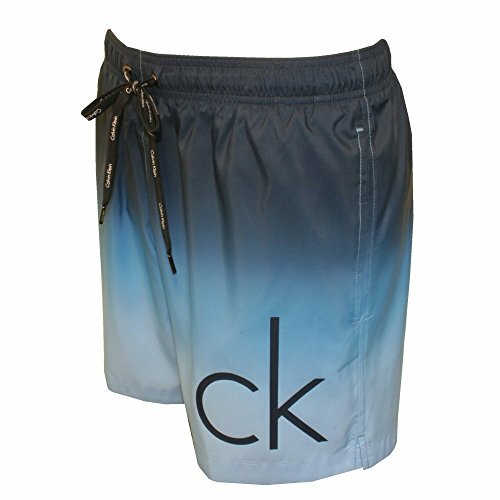 With an elasticated waistband and branded drawstring ties. Featuring 2 concealed side pockets. Mesh lining brief for support and comfort. Part of the UnderU.com Spring Summer 2016 collection. Calvin Klein is known across the globe for its cutting-edge style, innovative fabrics and exceptional comfort and quality.